Yes, I am back to that topic… Just because my countdown was for naught, does not stop the impending doom that is currently hurtling towards us like a speeding train. So it’s your last day on Earth and you are…??? For those of use who are not blessed with the luxurious life of our dreams, we are most likely sitting in our offices in front of our computer screens, making all our Doomsday Eve plans for the after hours. That’s all well and good but what if that poor calendar maker who has caused such consternation was a few hours off, and that meteorite hits you while you are sitting in traffic this afternoon? Yes, stranger things have happened…and if you die on the freeway, stuck in traffic, don’t worry, you are already in hell. So, question: What time is the world ending again? I need to plan my day accordingly after all, I need to know if I need to wake up early or what. 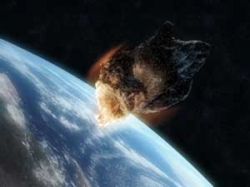 Will the meteors and destruction hit us all at the same time or will it start somewhere specific and world its way through the different time zones? If it will, where will it be starting? These are questions that need answers my friends! I must say though, I love the different tweets and Facebook posts I’ve been seeing, some making fun of the whole situation and others clearly seriously saying their goodbyes and planning for the end. 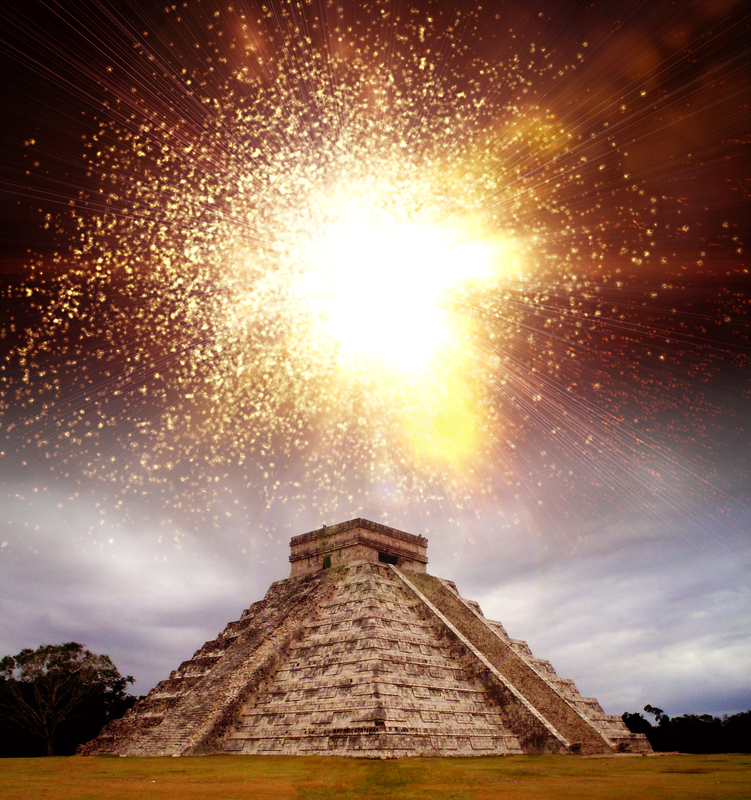 Whether you believe or not, the Mayan’s doomsday prediction was something worth experiencing. So here’s a suggestion. I say, when we are all grown up and have our own babies, we should all tell them that the apocalypse actually happened and that we are all it’s survivors! A new world-wide conspiracy to keep up going. Just imagine how brilliant it will be, when you’re telling your kids all the stories about what happened to you and how you fought for survival, how you hid in an underground bunker and foraged to feed yourself and basically pulled a whole lot of Indiana Jones/Lara Croft type stunts in the crazy aftermath. In a more serious light, tomorrow, I’ll be spending my evening with a loved one and making sure that should this really be it, I go happy. I suggest you do the same. I suggest you make peace with those that matter to you and lay all your regrets to rest, find a reason to make your heart smile and hold on to it, do something that will bring you real joy, and something that you do because you really want to, dance in front of people, sing out loud, laugh loud and proud, give lots of hugs, and get them too, get some end of the world nookie :-), and when you wake up on the 22nd of December to find yourself in one piece, do it all over again. I haven’t had the greatest life in the world but I think I have done pretty well so far, and so my heart is at peace. If anyone is organising a game night with some good people and laughter, please invite me (30 Seconds is my favourite game for such events) and if there is someone going to a kareoke night somewhere, I’d really love to join. Thank you to all those who made me smile and have a fabulous one Minxes! Categories: Entertainment, Feature | Tags: apocalypse, climate, destruction, doomsday, end, end of world, life, mayans, nature, peace | Permalink. But I don’t give up easily and I will be trying to make memorable memories right up until Dec 22 so bear with me. And for those who plan to continue onwards, even after that, there is a Facebook group called: 2013, For Those Who Survive 2012. At the moment, I’m kind of leaning more towards the survival tactic, rather than preparing for the end. It just makes more sense to me to try and fight this thing rather than to just lay down and take it, so I hope the Chinese are ready with that giant Ark-Ship thing, because I am coming to stow away on that thing. So I might not have gotten anything from my Bucket List selections done over the last 24 hours, but I have not been simply relaxing on my laurels. I got a few pages closer to completing the book I am writing (aka, The Great South African Novel), and I got tested for HIV/AIDS. For those who are not aware, we are only a couple of days away from International Aids Day and it is soooo imperative that you always check and know your status. I repeat, IMPERATIVE. Oh, and I came out negative, just by the way :). Of the bucket list nominations for today, I will say beforehand, that they might not all get done… You will see for yourself why I say this when you read them, but I will say that I will give them all a bloody good try and hope for the best. The first one is something which is very close to my heart because I feel so strongly that the plight of orphans in South Africa and around the world is such an important one. If my evil plan succeeds and I see 2013 and beyond, I will make sure that I one day adopt a cute little one. I dont see why every couple can’t make it part of their plans to raise their kids, and after they are somewhat done with that (maybe when your youngest is somewhere in his teens), give a little one in need a home and a loving environment. It’s the most amazing gift you can give. As for learning a language, well we can all see how impossible that would be in one day, so I’m thinking I can play around with the interpretation of this selection and perhaps try to becoming fluent in a language I have already started learning…how’s that for making the most of my time left on Earth? Parfaitement à l’aise français, je viens ici. Categories: Entertainment | Tags: 2012, AIDS, apocalypse, bucket list, climate, destruction, earth, end, french, HIV, International AIDS Day, language, learn, mayans, sky dive, test | Permalink. So today, it is officially 25 days to the end of the world and the overall apocalyptic destruction of everything you hold dear. Don’t look at me like that, you all watched the movie 2012, you know its going to be CRAZY! Before yesterday, I didn’t believe in the aforementioned apocalypse, but since I saw Chris Brown’s “Don’t Judge Me” video, and since Riaan Cruywagen read his last news cast, I’m inclined to think that something is definately off kilter about the world. One thing that always bothered me about this prediction was the disparity in the fact that they could predict the destruction of the entire world, but none of them ever pointed out the details or atleast date of their own demise?? It is, of course, the Mayans of which I speak. They are a lost and gone generation now, but once upon a time, they lived, and it seems they had a calendar, that continued to the end of all things, but somehow transversed their own existence…hmmm…okay… Am I the only one who sees the giant gaping hole in this story. Why would anyone bother dating anything for AFTER their own existence and the existence of the world they knew? Who did they think would be around to ask what date it was? Who did they make those calendars for? 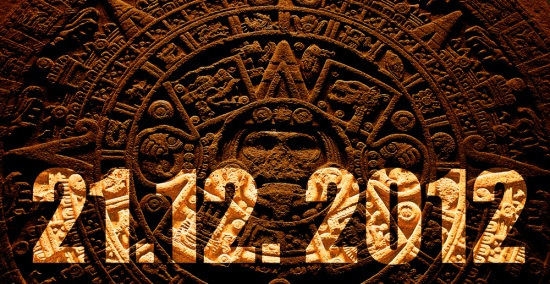 Was it not maybe just one huge April Fool’s prank, where one particular Mayan professor kept giggling right to his grave at the thought of the poor sucker who would read his calendar a few decades later and freak out? But like I said, with all the hurricanes and tsunamis and tropical storms hitting everywhere, and ofcourse the fact that Oom Riaan is no longer on our screens, it seems very possible now that on 21 December 2012, the ground might collapse beneath me. So I have decided to hold my very own countdown to the end. I currently have about 153 items on my Bucket List, as compiled so far, so I guess I left this countdown a tiny little bit too late…perhaps… but hey, I’m a girl with gusto and I can never say I never tried, so lets say I tick off two or three things from my list every day, and I can die with a smile on my face, knowing that I atlease came within a hair’s distance of completion. I don’t know how this is going to happen but hey, you can’t blame a girl for trying right? Categories: Entertainment | Tags: 2012, apocalypse, climate, demise, destruction, doomsday, end, legend, maya, mayans, science, world | Permalink.